Black tends to be serious and oh so chic! It’s edgy and modern and is making its fearless way into the garden. 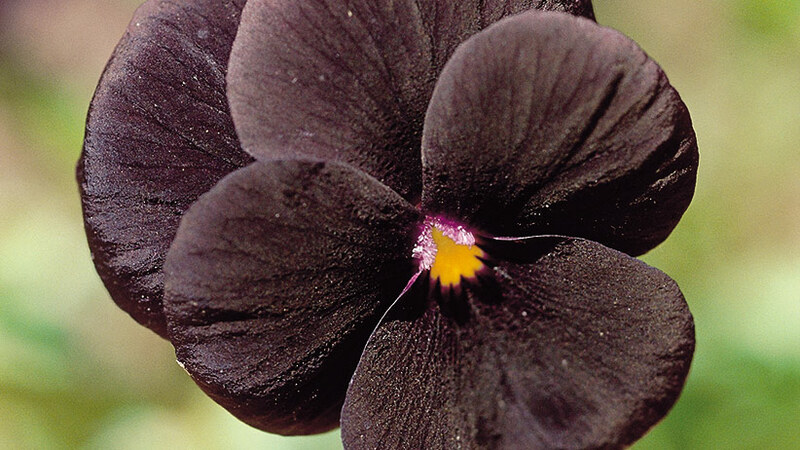 Plants with black flowers and foliage have the ability to change the effect of your entire garden. Do you want to cool down hot colors? How about heat up cool colors? Black flowers and foliage could be the answer. Add sophistication to the garden with this moody shade. 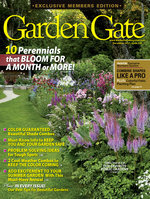 Scroll on to learn some design tips for 6 great plants with dark blossoms and foliage. Black functions in the garden much as it does in the world of fashion. It is a base color, a neutral that works well with all other colors. Since it isn’t as commonplace in gardens as in most wardrobes, black flowers and foliage add unexpected drama to the landscape. 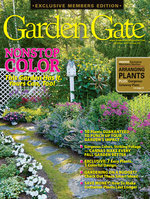 Variations in shades and tints exist, just like the purples, blues and other colors for your garden. Combine several black-foliaged plants with varying leaf sizes and textures for an unusual and sophisticated combination. Start with one of our six suggestions below. 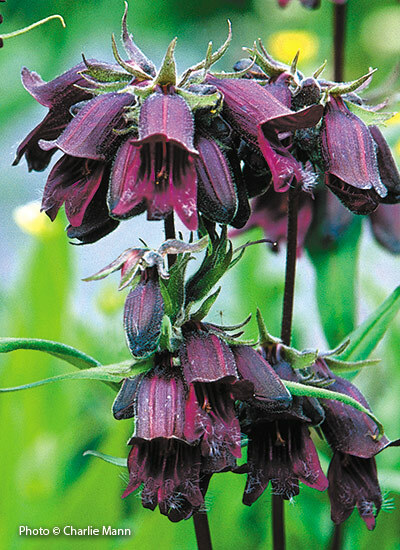 Technically, these flowers aren’t really black—they’re deep shades of purple and burgundy. But in the garden, they’re the closest thing you’ll find to this deep hue. Whether it’s dark burgundy, deep maroon or rich glossy purple, these plants will bring drama to borders big and small! 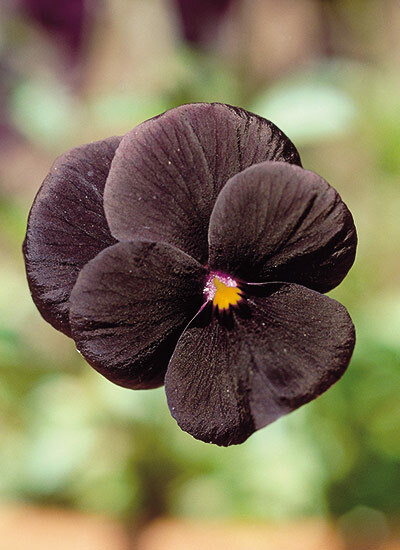 Like all pansies, ‘Black Devil’ grows best in cool weather. Deadheading spent flowers keeps blooms coming as long as possible. In the colder hardiness zones, adding a layer of mulch in winter can improve its survival. 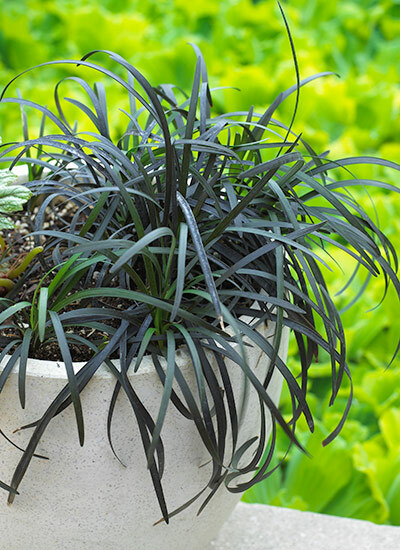 The dark blades of black mondo grass are a great contrast in containers and make for a strikingly bold edging in any border as it slowly spreads. Light pink bell-shaped flowers bloom on dark stems in late summer, while dark purple berries add interest in fall. Just be sure to keep it well-watered, especially in heat. To ensure a steady supply of ‘Arabian Nights’, sow seeds in late spring or early summer. Since you won’t see flowers on a biennial until the second year, though, sow seeds for two years in a row. 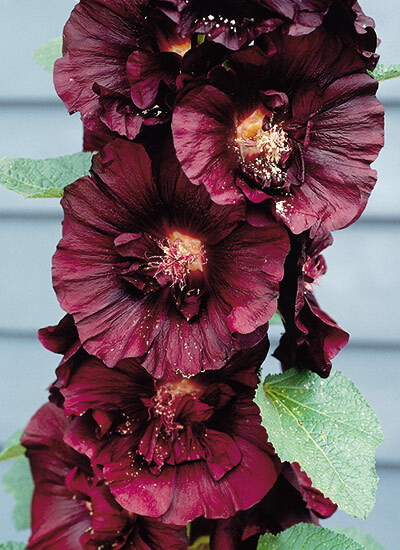 From the third year, you can let hollyhocks go to seed on their own. 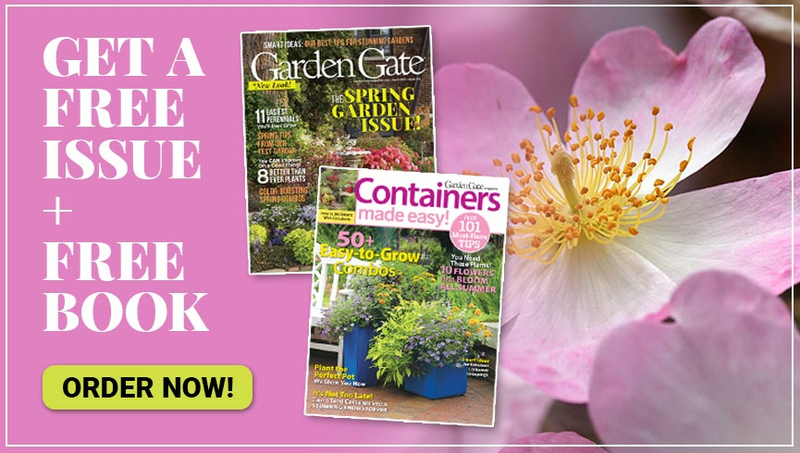 Petunias are great in containers — get the most blooms when you add slow-release fertilizer while planting and a water-soluble fertilizer like Miracle-Gro® every week all summer. 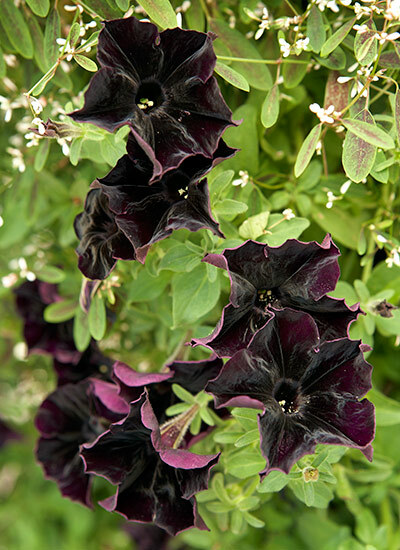 Lightly shear back leggy stems in midsummer to help Black Velvet petunia keep its mounded habit. Keep the crown of this plant dry or it’ll rot. Set it about an inch above the soil when planting and surround it with a mulch of chicken grit to prevent water from collecting. 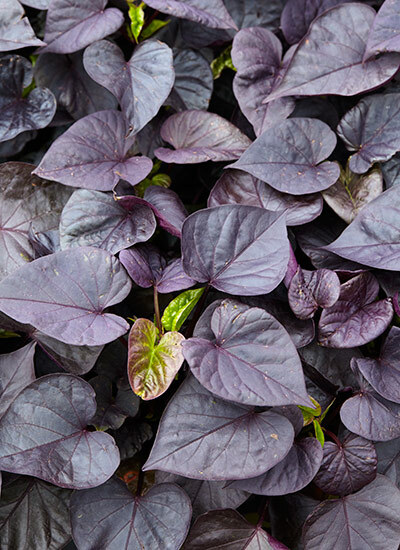 This purple sweet potato vine makes a bold impact in your containers or as a ground cover in the front of your borders! It grows in sunny or shady spots, although the color will be deeper and more vibrant when planted in a location that gets full sun. It grows vigorously, but you can trim the vines at any time to keep it in bounds.